As the headteacher at Our Lady & St. Hubert’s in Sandwell, I was recently given the opportunity to expand our school to two-form entry and build a brand new school. 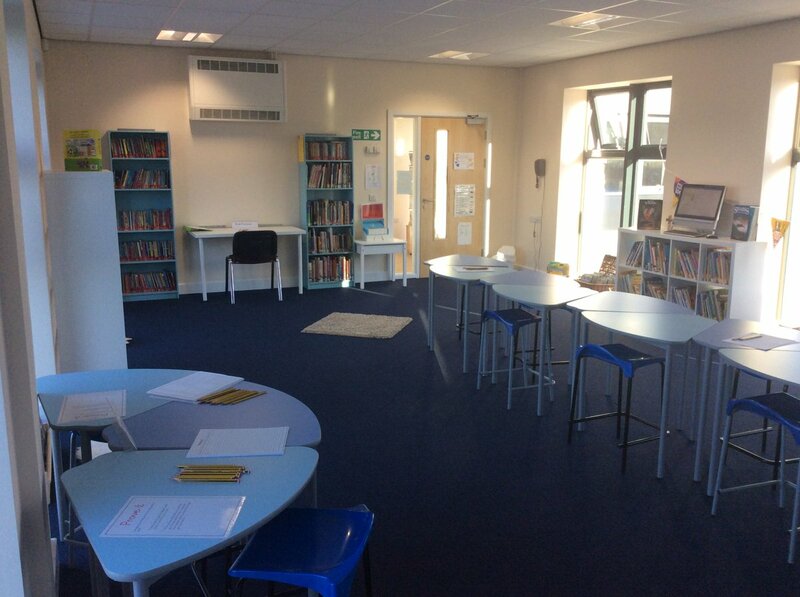 We wanted a building that flowed, suited Sandwell children and approached “academic provision” differently… reading corners, libraries and learning spaces would be put at the heart of the school! We were tired of having to buy furniture and resources from stock catalogues, which seemed expensive, garish, unwelcoming and already outdated … so we changed our approach. 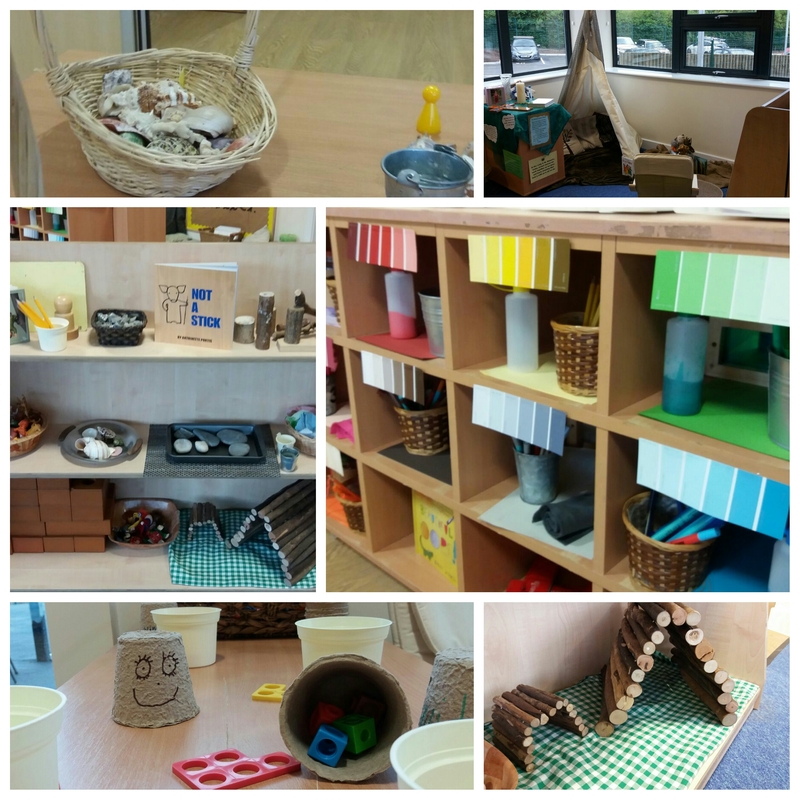 We looked towards nature and natural materials for inspiration instead: nature triggers children’s innate connections with themselves, their environment and the world around them. We wanted to ensure that reading is not an activity that only happens in fixed places in school, so tables are flexible, storage is on wheels, and reading is everywhere. This is why classrooms have book corners, but our corridors, playgrounds and even our forest school also have story spaces, reading hobbit holes and literary burrows. This way, the children walk past and see our books every single day. Reading is everywhere. Books thus become natural: books become a part of everyday life. A well-being team, which is working with every class teacher (and a small budget) to shape a reading space into every class and even our outside grounds (where I have been “convinced” to have a story circle and outside book corners, as Jo was showing me tonight). We wanted to avoid creating stereotypical ‘boys’ book corners’, and think about the bigger picture instead: authorship! 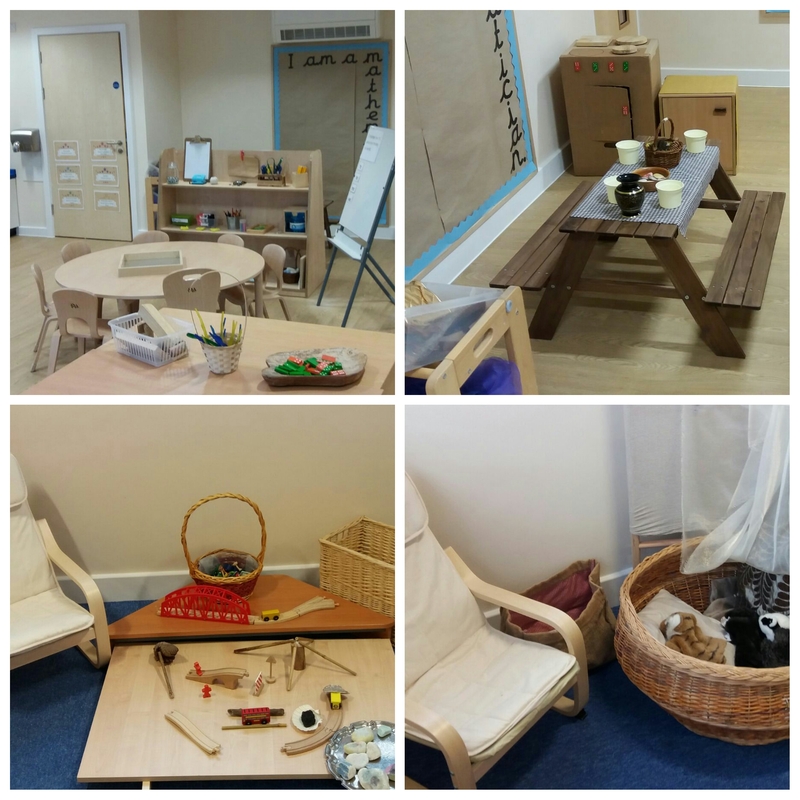 Thus our spaces had to have reading, writing and role-play activities that stimulate thought and the learning habits and behaviours needed to become an author. 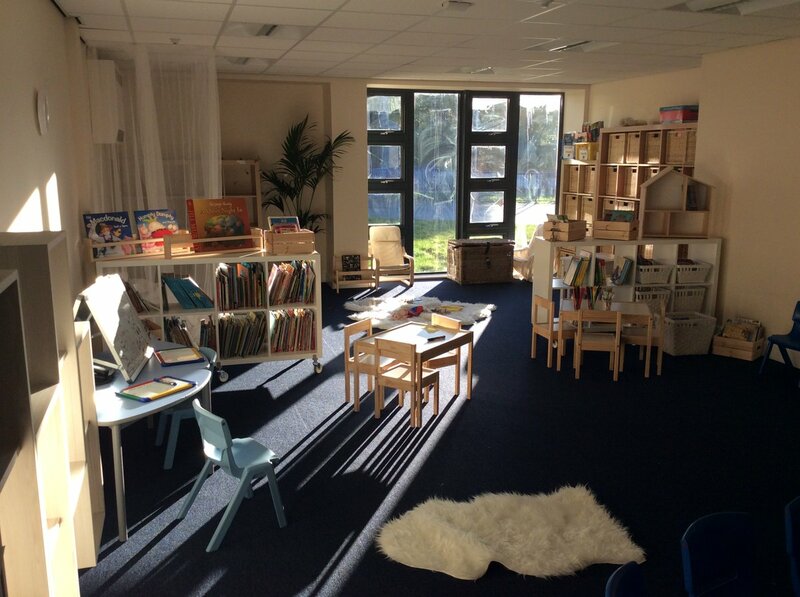 We want children to naturally gravitate to the space, sit in a nice chair under a ray of sunlight, feeling content and engaged… all before they’ve even realised they’ve picked up a book. Think differently – avoid clichéd generic corners that force boys in to one stereotype. Enrich reading corners with more than just books. You can read in many different ways. Don’t spend huge money – make the spaces inviting with natural resources and materials and children will gravitate towards them. Competition: win Project X books for your book corner! We’d love to see the book corners in your school. Send us your photos for a chance to win Project X Alien Adventures and Graphic Texts books – perfect for motivating boys. 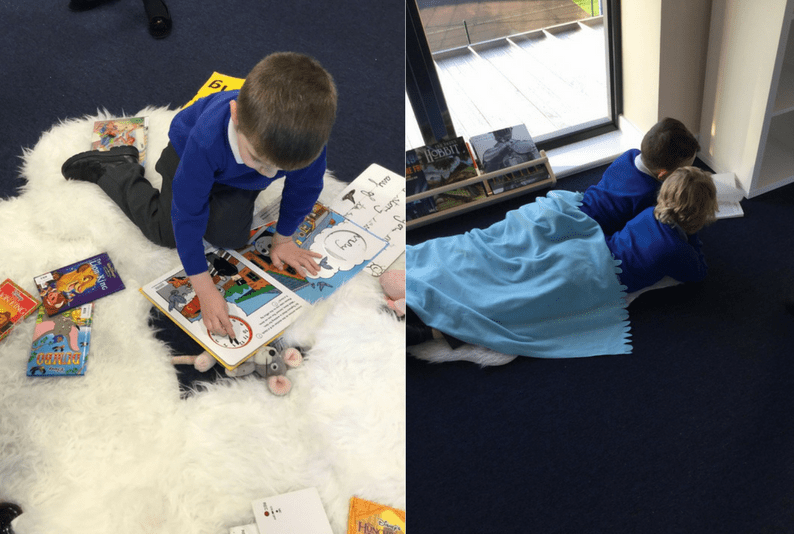 To enter the competition you can get in touch with us on Twitter by sending a private message of your reading corner to @OUPPrimary OR if your pics are on Pinterest send a pin to @OxfordEducation. Or you can simply email the best pics of your book corners to oxfordprimary@oup.com. Please ensure that you have provided the name of the school and a contact name and email address. If any children are included in the photos please ensure you have written permission from their parents. You can find full terms and conditions here. Dr. Danny Doyle is headteacher of the Our Lady and St. Hubert’s primary school and teaching alliance in Sandwell. St. Hubert’s has a remarkable academic record and they were recently ranked eighth nationally in The Times Top 400 State Primary Schools. Danny has been the school’s English consultant, ICT manager and teaching standards specialist. He is passionate about driving up standards through outstanding teaching. Danny has recently been awarded the 2014 NAACE Primary Impact Award (for his national school-to-school support implementing an outstanding curriculum) and the 2015 Goldsmith’s award (for his research project focussed on helping children with EAL needs to succeed in education with the University of California). Danny is also a doctor of research for the University of Birmingham. He is conducting research as part of his PhD thesis – the main focus of which is socio-linguistics and the attainment of boys in writing. Our Lady & St. Hubert’s School is a co-educational Catholic Voluntary Aided school for Catholic children aged between 4 and 11 years in Sandwell. The school is rated “outstanding” by Ofsted with a “strong academic track record”. Project X, published by Oxford University Press, has been specifically developed to address the gender gap in literacy and meet the needs of boys as learners through design, content and structure. Find out more here. Oxford Owl is an award-winning home to free online teaching, learning and assessment resources, eBooks, expert support and subscriptions for Primary Schools. FREE SUPPORT FOR YOU: From 27th March to 8th May 2017 we will be making our award-winning Raising Boy’s Achievement Pathway free so you can explore the fantastic support available to help you raise achievement in your school.